One of the most fascinating aspects of nature is the opportunism with which it imbues living organisms. Plants and animals alike shape their behaviour to make the most of those situations that habitually happen around them; using the seasonal flow to their advantage. Take the example of the winged larkspur. It waits for a year as the soil in which it sits is fertilised, watered and cultivated. Evolution has taught it that if it were to grow at the same time as the harvest of those same fields it would be eradicated by some farmer trying to keep his land as free of weeds as possible. Instead it waits till that same farmer harvests his crop. Only then does it emerge from the ground. Free of any competition and danger of persecution it takes over the field in which it lay, using up any residual energy from the ground to fuel its own life cycle. It does this in the most discreet manners possible. As can be expected of any plant that grows during the hottest months of the year (July and August) it is quite an efficient one. 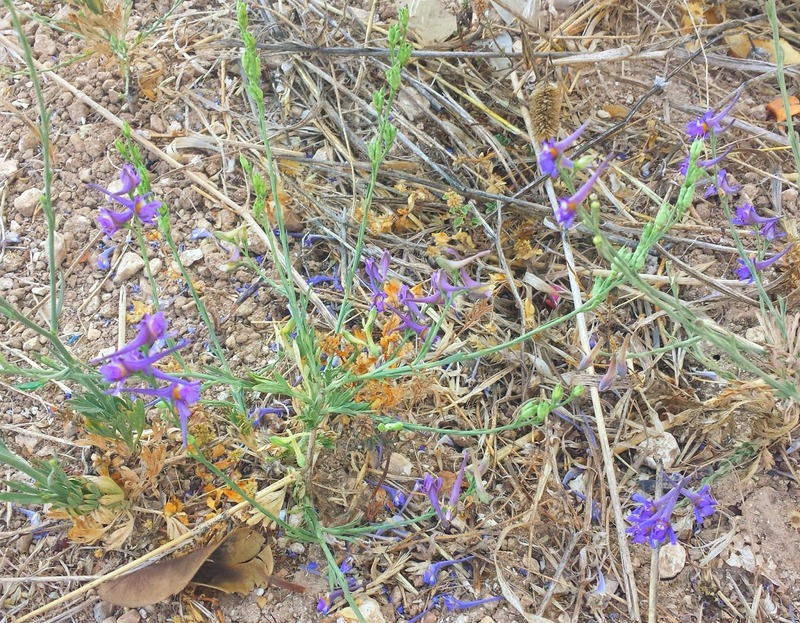 Leaves are kept to a minimum and the flowers – purple, delicate and beautiful – are rather small, fit to attract bees and little else. One needs to be particularly observational to notice it. Often what is noticed is the accumulation of this plant where the dozens of specimen that tend to grow together give the field a purple tinge, as if some sweet topping had been drizzled all over. Apart from its appearance there is nothing delicate about this plant, however for it contains a high level of toxicity. Eat enough of it or the flower and you will find yourself poisoned. Which has not often been a problem for people (although it can and it has been) but an issue for goats and cows. For that is another fascinating aspect of nature; that way that it is engineered to equip even the smallest of plants (and animals) such as this one with the means to protect itself. It is one of the subtle ways with which nature it keeps its balance. Until, that is, a beast comes along and trashes the delicate rhythm of nature. 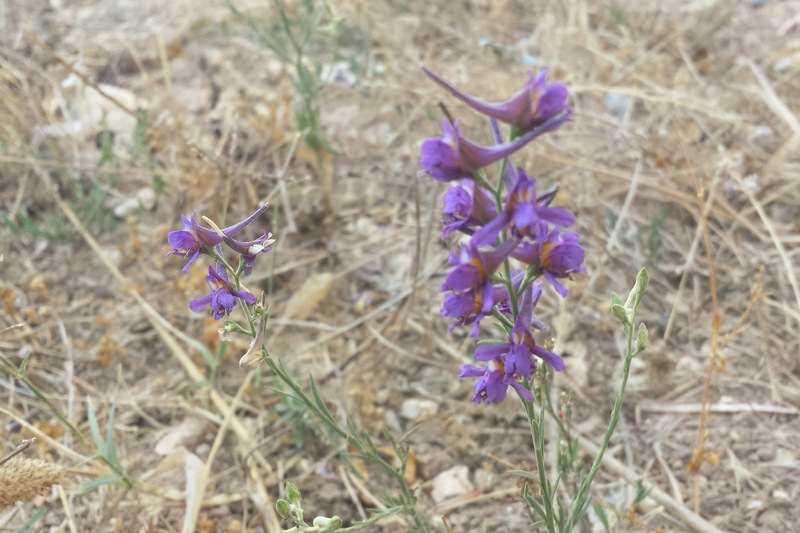 As is happening to the winged larkspur and other wildflower in Malta where arable land is constantly under attack and along with it its habitat.